Love it or hate it, the makeup brushes you use to apply makeup are just as important as the makeup you buy. Makeup artists and beauty lovers alike don't buy brushes for no reason. (Okay, some might but that's not the point.) The point is, they buy them because they are tools of the trade. Literally. Many makeup artists will often say that brushes are the most important part of their kits. Having the right tools on hand, both in quality and type, can be the difference between a decent look and a good look that wows. I admit, when I first started makeup ages ago brushes weren't on the top of my list either. If I remember correctly, the 6 or 7 brushes I did have were gifts with purchase. However, I soon found out that it wasn't efficient and I branched out to try more brushes. I've had good brushes and bad brushes. Bought some brushes that I love and use to this day. While there are also some that sits in the dark corner of my room and never gets used. Like most things in life, price and brand doesn't necessarily determine the quality of the brushes. The brushes in my kit currently comes from a variety of prices and a few of my favorites are really inexpensive as well. Yup, some cheap brushes are worth it. 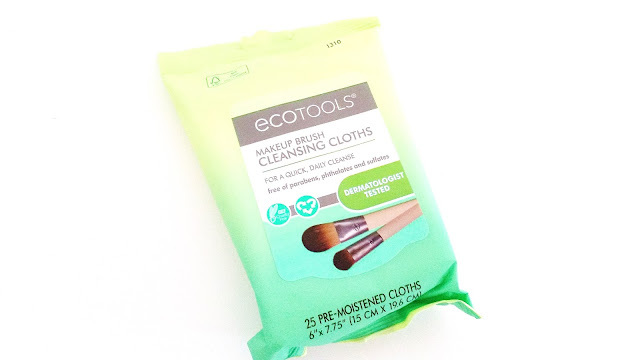 Anyways, in today's review, I want to talk about the brushes, sponges, and cleansing cloths from EcoTools. 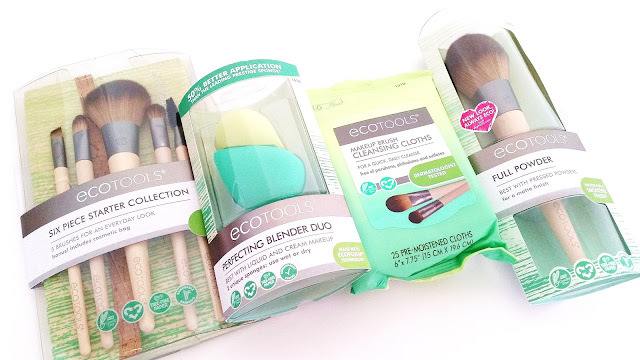 These are my first products from EcoTools and I was very excited to try them and compare them with my current makeup tools. I got this set courtesy of Influenster and EcoTools. For those who might not be familiar with Influenster, it's an online community that shares reviews on produts and services, updates on the latest trends, and its members have the opportunity to test products for free as well. Anyone can join! You don't need to be a blogger or Youtuber. Although I believe Influenster is only open to US and Canada currently. 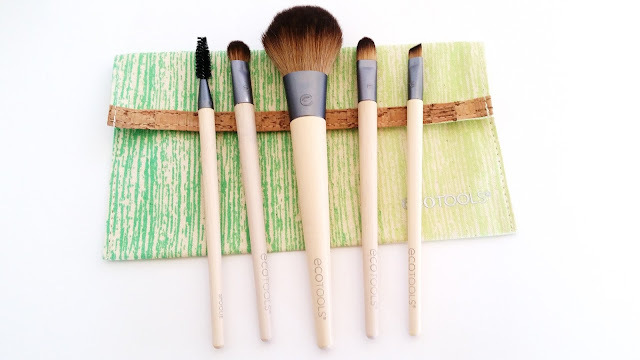 As for EcoTools, they are an eco-friendly brush company. 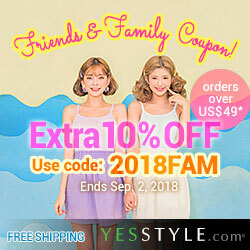 They sell a variety of makeup brushes, skincare brushes, hair care brushes, and more. 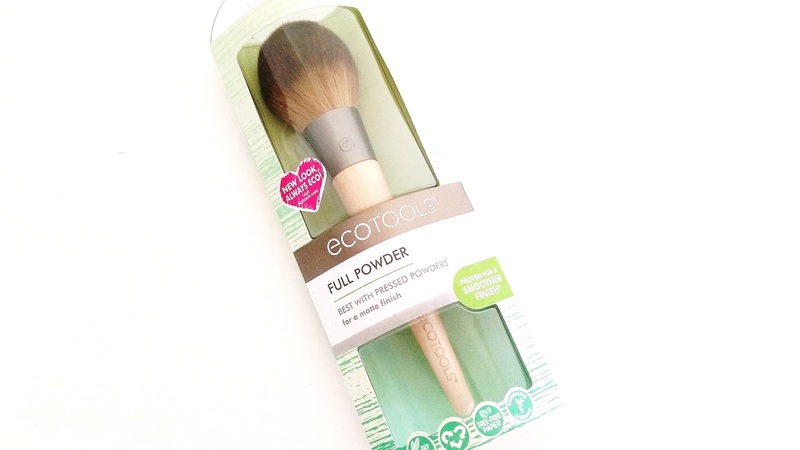 EcoTools have been around for 10 years and they are known for their cruelty free and inexpensive brushes. The brand also use recycled materials, such as aluminum and plastic, for their products and all of their packaging are made with 100% tree-free paper. Impossible? Not really. Their packaging is made out of a mix of 80% bamboo fibers and 20% cotton. Neat huh? To make their products even better, all of their brush handles are made with renewable bamboo as well. Let's get to know some of their products. 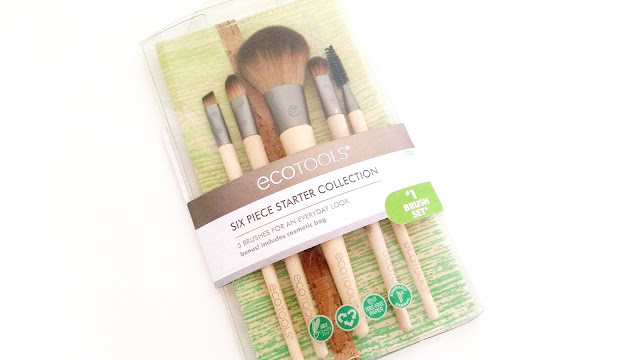 The EcoTools Six Piece Starter Collection contains a good variety of brushes and a mini cosmetic pouch. It's has the basics for an everyday look. This set is good for beginners who are looking for an inexpensive selection of basic brushes to start with. I can't say I love this set but I don't exactly hate it either. There are some okay brushes here and some that needs to be reworked. I think if I was new to makeup and needed an inexpensive starter brush set, this would have been an okay choice. However, as I've tried many different brands/kinds of brushes by now, these aren't as amazing as the others I have in my kit. I don't think an inexpensive brush necessarily means it's bad, (heck a few of my favorite brushes are from E.L.F.). However, even compared to my inexpensive brushes, these aren't any better. So, that was a bit disappointing. The brush with absolutely no issues in this kit is the spoolie brush. It's a common brush in most brush sets and well, you can't really go wrong with a spoolie. It's good for a beginner set and it's useful as well. The full shadow brush is decent. Not the best but certainly not the worst. It's dense, soft, and applies products easily. The powder/blush brush is a slightly awkward brush in my opinion. The brush is a bit big as a blush brush but small as a powder brush. It's trying to be 2 different kinds of brushes, yet not doing either well. It's super soft though, which is a plus. The concealer brush has its flaws too. Despite its decent shape and size, the biggest issue with this brush is that it can absorb quite a bit of product. That's one of the reasons why I don't like to use it. Another is that it doesn't blend as smoothly as my other concealer brushes. Sometimes, I find I have to go in with another concealer brush to finish the job. Which kind of defeats its purpose. Last but certainly not least, is the angled liner brush. I think this is going to be a hit or miss due to eye shapes and liner preferences. For me, I like thin and precise lines and I can't really get that effect with this brush. The brush is a bit too thick for that and although it's decent, it's just not for me. However, for any beginners without my preferences, this is a decent liner brush. This Full Powder brush is dense, large, and soft. It's best used with pressed powder products and can evenly distribute and blend the products with ease. To use, dab the brush in pressed powder and gently tap off any excess. Start in the middle of your face and sweep the brush onto the face using circular motions to apply the powder. Okay, this is a much better powder brush than the one in the 6 piece kit. It's bigger, fuller, and so soft! It works pretty well and so far no shedding yet! *Knocks on wood* This is a great brush for beginners! Compared to my powder brushes, it falls in between decent and good. Still not the best but I will be keeping it in my kit. 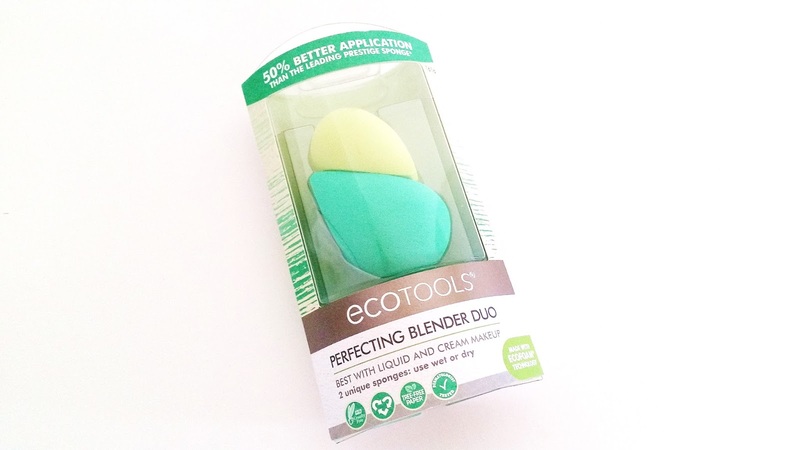 These EcoTools Perfecting Blender Duo comes with 2 unique sponges that can be used wet (damp) or dry. They are made with a unique Ecotools technology (EcoFoam) which uses 70% plant based materials. The blenders come in 2 different sizes and densities. The mini blender is a detail blender. It's firmer for precise and detailed coverage. The larger blender is a base blender. It's soft and flexible for buildable makeup application. If you are ever in need of an inexpensive version of beauty blenders, these are your pals. There are many Beauty Blender dupes on the market, but these are some of the better ones. They come in 2 different shapes, sizes, and densities. Both of them perform their duties really well and I can get flawless applications with the help of both. The sponges can absorb a little bit of product, but it's not much that it becomes a worry. The EcoTools Makeup Brush Cleansing Cloths are easy to use products made to instantly cleanse away makeup, oil, and impurities from the brushes. The cloths are made with FSC (Forest Stewardship Council) certified material. It's dermatologists tested and free of any petroleum based ingredients. I can see where they are trying to go with this. The idea is great and they use environmental friendly materials too, so it doesn't seem too wasteful. Let me get one thing straight. These are good if you wash your brushes frequently and just need a light cleanse in-between your cleansing days. If you don't wash your brushes all that often and you need to deep cleanse them, these will not do the trick. The cleansing cloths might be good for traveling too, as you probably won't pack your brush cleansers with you on a week's trip somewhere. The only issue I have with these cleansing cloths is that it doesn't clean everything well. It's like how a makeup remover tissue might not remove all the makeup off of your face. When I tested it and went in with my normal cleansing method afterwards, I was still able to clean out some remaining products. 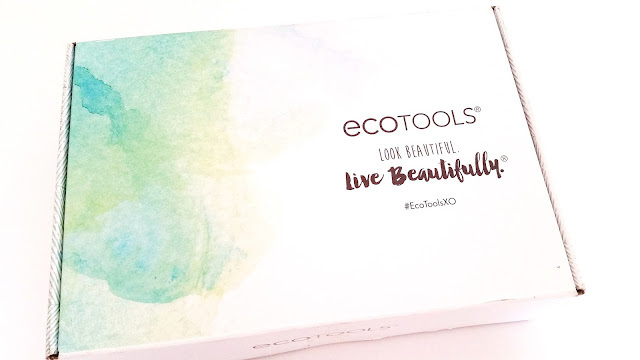 Final Thoughts: I'm very thankful that I got the opportunity to try out these products from EcoTools. While not all of them are amazing, I'd glad I found a few that I like. The Blending Duo definitely takes the cake out of this lot. It's inexpensive and works really well. I will likely buy more of it in the future. Have you tried any products from EcoTools? What are your thoughts on them? Interested in joining Influenster? Check them out to learn more! Disclaimer: These products were sent to me for review purposes. All opinions are honest and my own. This post contains some referral and affiliate links, for more information check out the full disclaimer.